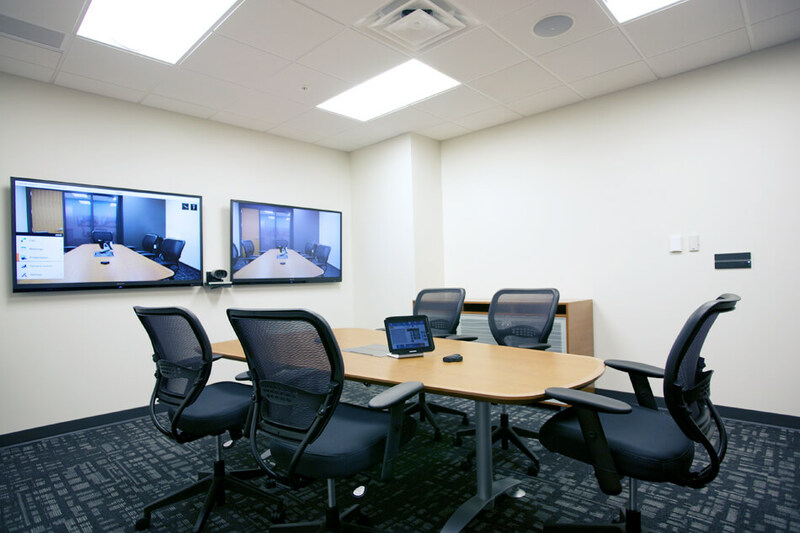 World Wide Technology Group Video Conference Technology - Conference Technologies, Inc.
World Wide Technology, Inc. was building a new headquarters in Maryland Heights, Missouri. 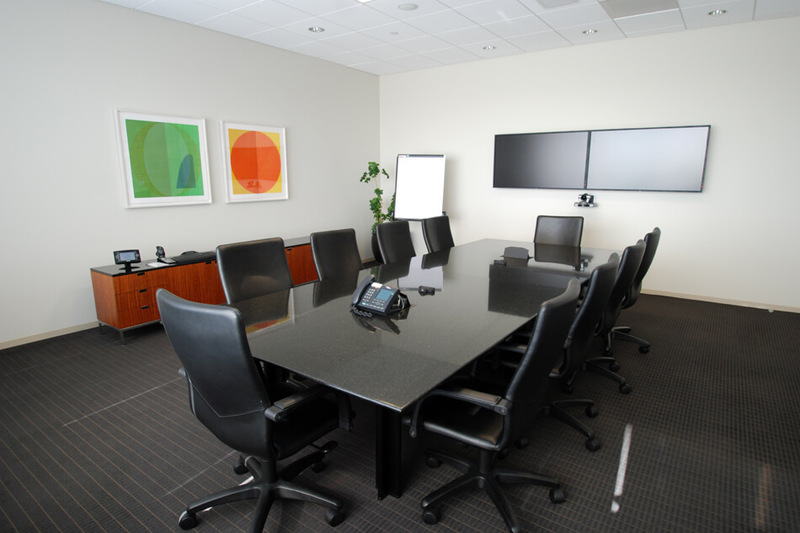 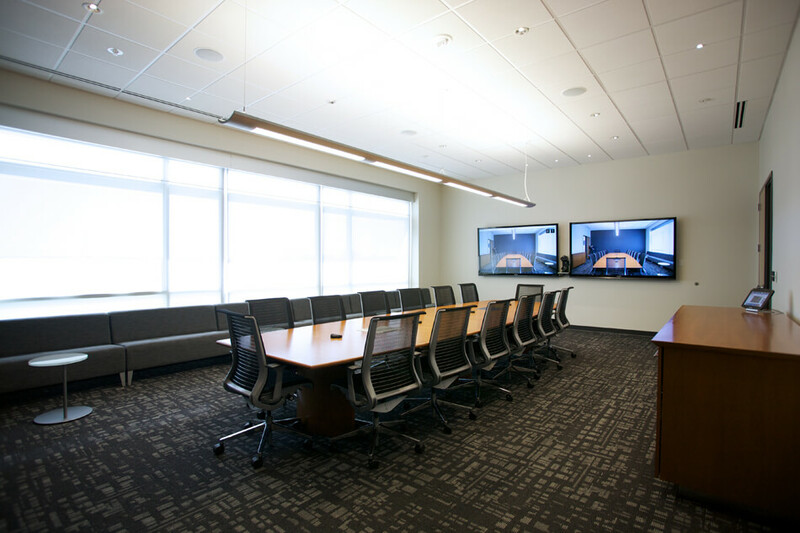 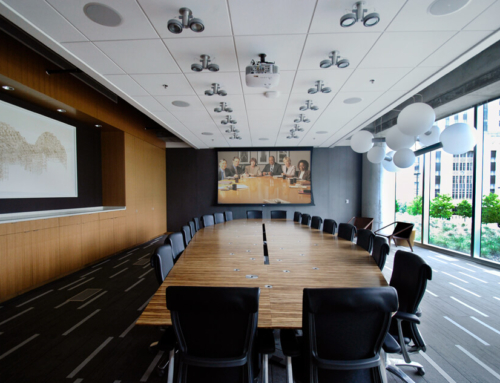 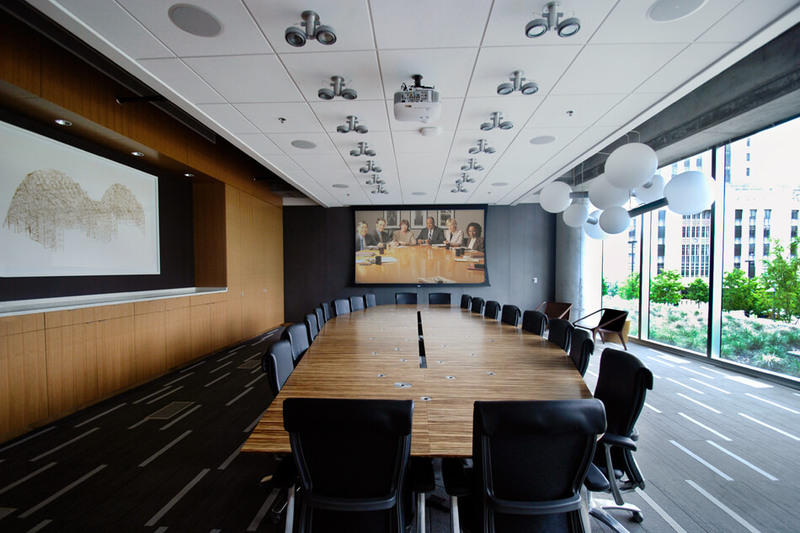 Their new facility needed an array of new audio visual systems, including several conference rooms for client presentations and in-house video conferencing meetings. 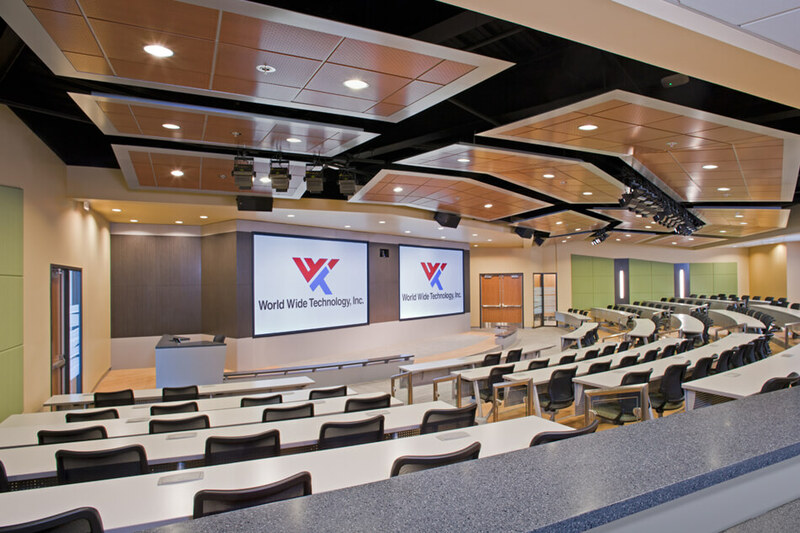 Conference Technologies, Inc. ® was awarded a design contract and work with World Wide Technology, Inc.’s design team, which included their internal IT group and facilities, architect, general and electrical contractors. 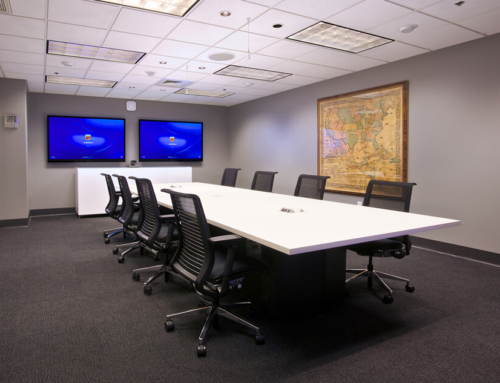 Conference Technologies, Inc. ® developed audio visual equipment location, floor, ceiling plans and display elevation drawings. 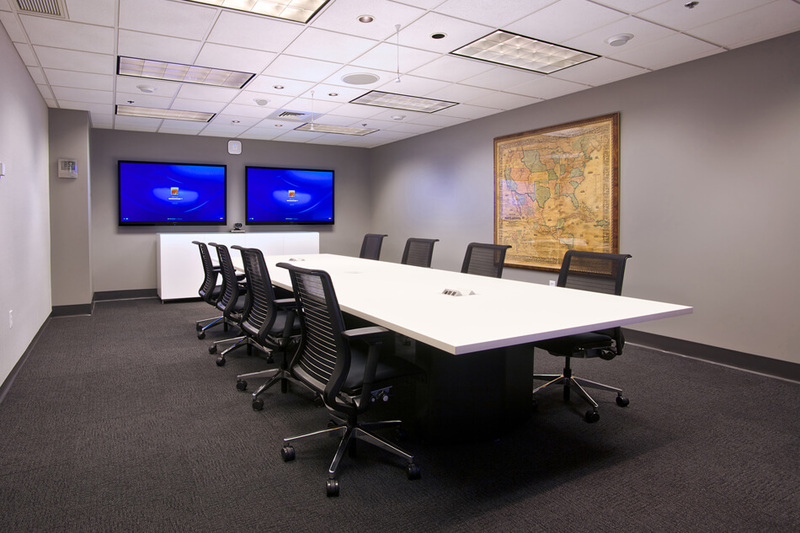 Drawings included audio visual infrastructure for conduit, cable pathways, power and data requirements. 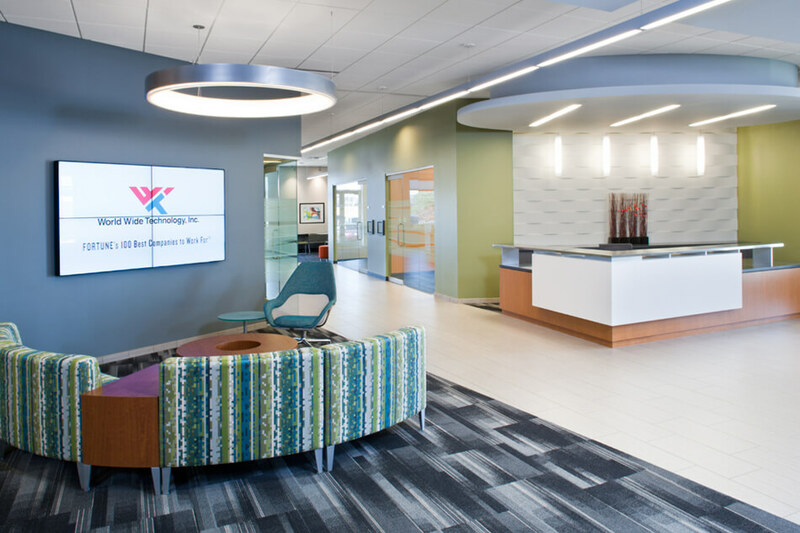 The drawings we provided became an integral part of the overall architectural build set. 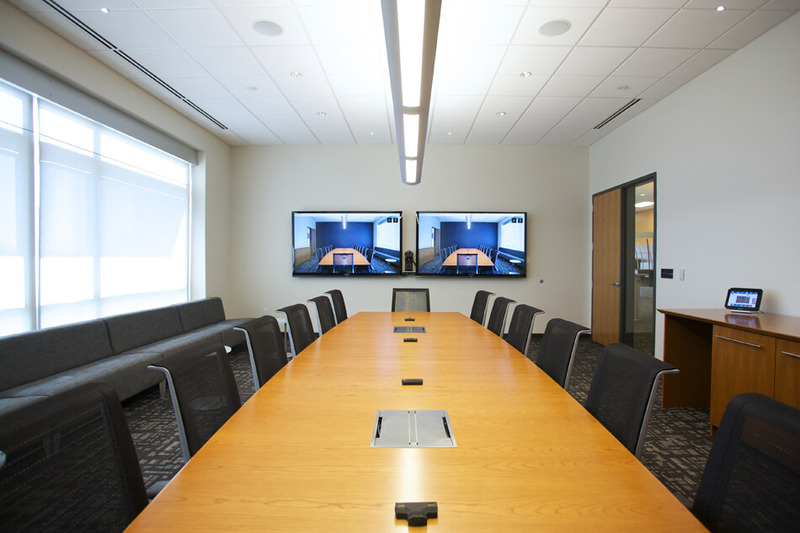 We integrated an executive boardroom, a 125 seat auditorium, video conferencing suites and small, medium and large presentation rooms. 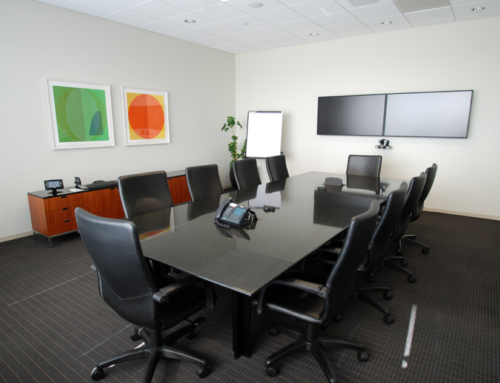 Additionally, we integrated flat panel displays, projection systems, audio conferencing, control systems and digital video matrix switching.